Get started by finding a school further down this page. people are not aware that they have visited an esthetician. Since the occupation correlates with other specialties within the field of cosmetology it is easy to consider estheticians as simply beauticians. However, esthetican schools — whether they are online or regular schools — are considered distinct from other types of beauty schools. While they do perform some of the same tasks as beauticians, an esthetician’s skill set is a little more complex. And they usually have separate programs to train in, though often at the same schools as other beauty professionals. They are considered in some areas to be skin or skin care specialists. 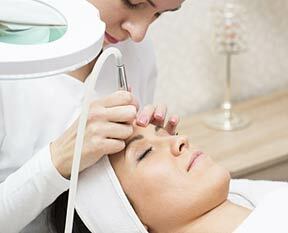 They can also perform medical treatments if certified after the right esthetician training. • Aesthetician Schools – what are they? Estheticians and Esthetics Schools – what are they? Estheticians work in the branch of cosmetology that deals with skin care, hair removal, spa treatments, makeup application, microdermabrasion, blemish & blackhead removal and occasionally other services as well. Often estheticians obtain their training in cosmetology schools, although there are specialty programs for the discipline. Estheticians can also choose to specialize even further, and they can work either for themselves or in a salon or spa environment. As further developments are made in the field of skin care, estheticians find themselves learning new treatments and skills constantly. Aesthetician vs Esthetician – Often students are confused about the differences between aestheticians and estheticians. Most people are more familiar with the word “aesthetics,” which is the appreciation of beauty in all of its rich and varied forms. Both spellings for the career are correct, although it is used most often without the leading “a.” Some estheticians prefer to use simpler titles when talking with clients, calling themselves skin specialists or simply beauticians. 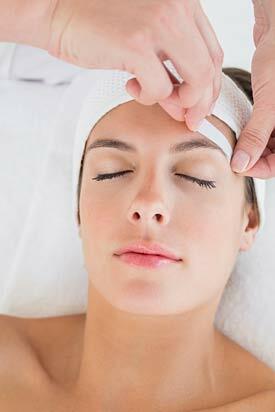 Skin care specialists, for example, may perform facials for their customers, as well as instructing them in proper skin care products and techniques. Makeup artists spend time not only applying but also properly removing makeup for their customers, as well as instructing those clients in how to properly perform both functions at home. This can be everyday makeup, makeup for special events, or even theatrical makeup. Students who want to know how to become an esthetician complete a prescribed course of schooling based on the standards set forth by their state’s or province’s board of cosmetology. Individual programs vary, but the majority begin with a study of skin, both on the face and the entire body. From there, the curriculum branches out into hair removal, skin products, and other necessary information. Esthetician programs can range in length from a few months to one to two years. The specific total hour requirement is laid out by the state or provincial board of cosmetology, and students would do well to compare that information to the school’s curriculum before enrolling. If you are looking for a quicker way to get into the beauty field the course of study for a nail tech is shortest, followed by makeup artist. Esthetician courses are designed to give students an introduction to the core elements of the program as well as deeper instruction. As the students proceed through the classes, they learn even more and begin to apply that knowledge on actual clients in most cases. Some schools offer practical instruction from the very beginning, while others focus first on classroom learning and move to the hands-on experience as training progresses. Aesthetics training is similar to that for cosmetology, but there is more emphasis on skin care and products, while cosmetology tends to focus on both skin and hair. Each school has its own core curriculum, and students should ask to see the course of study before enrolling in classes. This helps to ensure that the school is teaching what the student wishes to learn, and that the courses fit with the state or provincial board of cosmetology’s requirements for the licensing exam. The length of time for each school’s course load also varies, so students should check the schools timetable to see if it meets with their needs before enrolling. Some schools have age and prior education requirements. Most that require students to be a particular age prefer that students are at least 16 or older. Many schools also require that students have a high school diploma or the equivalent. Community colleges and technical schools may offer an Associate’s degree at the end of the program, while private schools are more likely to offer a certificate upon completion. Students who are interested in obtaining a degree that they may be able to build on later should inquire as to the type of certification or degree offered before they enrol in the program. High School Esthetician Programs – If students are lucky enough to know at an early age that they want to pursue a career as an esthetician, high school programs may be a good solution. These are often provided as part of a vocational or tech school option, and the coursework is accredited. Due to the fact that these programs are only open to high school students, they are not open to the general public. Once the students complete the program they can take the licensing exam. Once they’ve received their license they can begin work. Some students may want to follow this program as a prelude to more advanced training, particularly if they are interested in a position later as a nurse esthetician. Click here to find a school. Once licensed, estheticians must display their license in their place of employment. The license has an expiration date, at which time it must be renewed. Most state or provincial boards of cosmetology require as a part of the license renewal process that estheticians provide proof that they have kept up with their profession via additional coursework and esthetician classes. Often the hours required for these courses are minimal and sometimes they can be done at home. The classes allow the licensee to stay up to date with current trends in the field. Many of the top schools offer not only initial courses to those just starting out, but they also offer continuing education for estheticians as well. By now you may be asking yourself “Is there a skin care school near me?” The answer is probably “Yes.” Some states even allow apprenticeship as training to minimize your need for in-school instruction. Use your ZIP to find a school – click here. From New York to L.A. most states — and most Canadian provinces — have places that will train you so that you can be employed in your area. It is important to realize that different states will have different requirements. Your diploma will not automatically be accepted wherever you go. Due to reciprocity agreements retraining is often not too hard or lengthy, if it is needed at all. 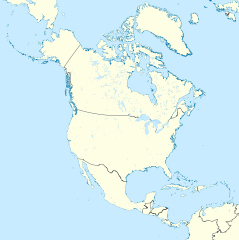 However, some states including Ohio and New York have no agreement in place so you must take the full training in order to work there except in NY which has “endorsement agreements” with some states. Connecticut, on the other hand, has no requirements for skin care experts so you can go into business even if you have no training. Check the table below for examples of hours and so on needed to get licensed. Your decision on where to go to college, and if you should go to one nearby, could depend a lot on what the requirements are. STATE PREREQUISITES TRAINING HOURS, etc. RECIPROCITY RENEWAL REQUIRED? Once you get accepted into school — or even before if you are passionate about skin care — you’ll need to gather the necessary supplies to practice the various techniques you’ll be learning. The things you need make up a significant part of training costs. Some academies will supply you with everything you need as part of your tuition. Others will have ready-made kits that you can purchase separately from tuition. In some cases it will be fine to buy your own esthetics tools and supplies. For the beginning student esthetician you can break these supplies down into three categories. Facial Skin Care Tools – these implements include such things as cleansers and toners for different types of skin, masks, moisturizer, scrubs, a scrub brush for exfoliation. A Makeup Kit – One the skin is thoroughly cleansed in most cases makeup will need to be applied. A kit includes such things as foundation for different skin types, concealer, eyeshadow, mascara, lip gloss, lipstick, eyeliner, lip liner, blush, brushes for eye shadow & blush, a palette for makeup, and a mirror. A Waxing Kit – The main things in this kit will include a wax warmer, wax strips, and an apron and gloves. Most estheticians also like to have a lighted magnifying floor lamp to get a really good look at the skin imperfections they are working on. All in all the basic esthetician implements aren’t that expensive. If you want to get into such things as spa facial equipment then you will be spending a lot for professional-quality machines. Many students to do not consider the option of financial aid when they consider esthetics school cost. These are not options that will fall into a student’s lap. Instead, students must actively seek out and apply for this type of assistance for their tuition and expense needs. An often overlooked resource for financial aid is the school itself. The schools want to bring as many students through their program as possible, so they are motivated to help prospective students find the financial resources that they need. Licensing costs vary from one location to another. In general, an esthetician should expect to pay less than $100 overall for her license. One consideration to keep in mind, however, is that the licensing test does have a fee as well. These fees should be listed clearly on the website for the state or provincial board of cosmetology, along with license renewal requirements. Some applications for financial aid, particularly through federal and state/provincial programs, are based primarily on financial need. For these types of applications, students will have to submit financial information, such as tax paperwork, bank statements, and possibly pay stub information with which the determining organization can make a decision. Other types of financial aid, particularly scholarships and grants, require the student to prove their love for the field in some manner. Sometimes this is through the application itself, sometimes prospective students are required to show specific activity that demonstrates their desire to work in the esthetician field. Regardless, students should be sure to complete all applications as thoroughly as possible, since incomplete applications can be thrown out altogether by some agencies. Some states and provinces require testing each time a license is renewed, but most do not. If a license is allowed to lapse, estheticians may be required to pay a reinstatement fee and to retake the licensing exam. Even if an aesthetician is not actively using her license, it pays to renew it before it lapses to avoid having to pay the additional fees to reinstate the license. Once certified, estheticians and nurse estheticians can either work for themselves, for a clinic or spa, or for a doctor’s office. Some licensed estheticians may start out working in a more generalized manner, later deciding that they prefer to specialize in specific products or techniques. This typically does not require additional certification, unless she intends to become a nurse esthetician and has not previously worked toward that training. The outlook for estheticians is quite positive. More and more consumers are looking for someone to help them with personal service needs, and they prefer hiring an expert. As such, more and more spas are opening, and they need estheticians to fill out their staff. Also, dermatologists and other doctors who deal with skin and aging find that estheticians are a valuable part of their team. Estheticians are trained to handle the nuts and bolts of the treatments, as it were, and the physicians can grow their patient base because they have staff that can handle the influx of patients. Estheticians who work for themselves — either independently or by opening their own spa — have much more room for growth. Keeping their clients happy and hiring estheticians who mesh well with their own methods are two ways to help ensure that those endeavours are successful. Students who already know that they want to one day open their own spa may want to consider taking business classes along with their esthetician certification. Finding a mentor is another way to ensure that estheticians can reach these larger goals. Pay rates for estheticians and for nurse estheticians can vary quite a bit, depending on a wide range of variables. 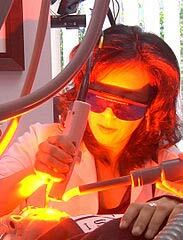 Laser skin treatments are usually done by doctors. An esthetician in a smaller spa will no doubt earn slightly less than one in a large spa in a metropolitan area. Also, newer estheticians may earn slightly less at the start of their careers than those who have been working in the field for several years. As estheticians gain experience and clientele who return for session after session, they are able to grow their pay rates. Some spas and clinics provide a commission-based pay scale, which depends greatly on the esthetician’s client base and the upsells that the clients purchase. Others work at an hourly rate. According to the U. S. Bureau of Labor and Statistics, on average estheticians can expect to earn $13.92 per hour. At the higher end of the scale, they can expect to earn $27.37 per hour. Nurse estheticians working in a physician’s office can expect starting pay rates averaging around $19.71 per hour and going up from there. Nurse estheticians can also work in hospitals and private healthcare facilities, which can grow their hourly pay rate even more. In Canada the average income is $18,870 annually but that doesn’t take into account that many are working less than forty hours per week. Becoming an esthetician offers students a way to help their clients in both large and small ways. While some clients may only need the occasional facial or waxing treatment, others may need help that they have been unable to get from any other specialist. In case you’ve missed it, awards season is definitely here. Being red carpet ready means that celebrities need to go to a lot of effort. It’s not easy to be stunning, after all. Browsing through slideshows afterward, like this one from Refinery29, let you see the best looks of the night all in one place. Best of all, you also get to see who was responsible for these fantastic looks and you can start stalking their Insta game yourself. You may not have heard about this one, but it’s truly ground breaking. CVS recently announced that by 2020, all beauty products sold in the drugstore giant’s aisles “will require an alert label placed on an image that contains photo manipulation.” This means that Photoshopping is going to either become a thing of the past or you’ll know exactly which images are manipulated. Are you looking to head out ono your own once you’re a licensed esthetician? The best programs and schools will help you to develop a marketing plan that will help you land the perfect clients, but you’re also going to want to keep up with the times. Articles like this one can help you to add new marketing tactics to your plan. Part of being a responsible esthetician means watching out for dangers that can create problems for your customers, like this poor customer who had some eyelash extensions go wrong. Estheticians are in business to help their clients look and feel beautiful. One esthetician is asking if we’re all placing too much emphasis on the paint and spackle.